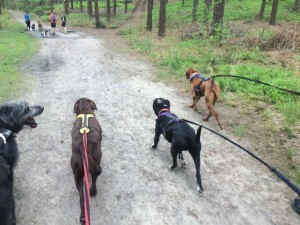 The Zero DC canicross harness is very popular amongst canicrossers, largely because it’s incredibly easy to fit, really comfortable for the dog and durable. It also comes in a nice range of colours. We would recommend this as either an entry level harness or for regular runners with small to medium dogs. It’s fine for large dogs too if they don’t pull excessively; for large, strong pulling dogs we highly recommend the more technical Non Stop Freemotion harness. The Zero DC Harness is a simple and gorgeous harness. Dogs love it! 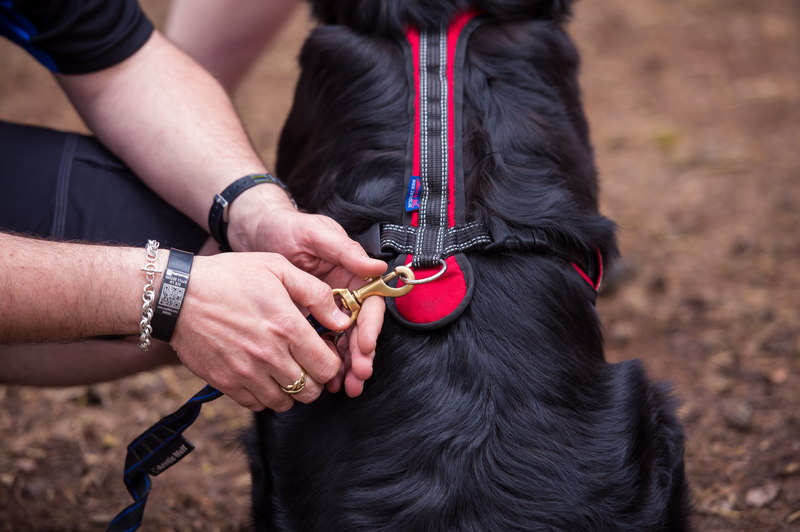 Do double check your measurements to be on the safe side, as it’s critical you get the right size, and then refer to our sizing guide to select the appropriate harness. To fit the canicross harness you simply put the main loop over your dog’s head, keeping the long section with the metal ring on your dogs back and facing towards the hind quarters. Then you pop the front panel through your dog’s front legs and simply fasten both sides together under the belly. You can adjust the straps very easily to ensure a nice comfortable fit. You then attach your line to the metal ring and you are good to go! It’s as simple as that! Now it’s important that the harness fits just right. First and foremost, the neck section should be snug – you should be able to fit a few fingers under the material. This is to prevent the harness slipping up or down and restricting your dog’s breathing or shoulder movement. It also reduces the risk of fiction. It should also fit nicely down to the chest bone and to the top of the shoulders between the shoulder blades. The harness should not obstruct the shoulder area. The side straps around the girth should sit just at the end of your dog’s ribs. They should be tight enough to prevent the harness sliding around from side to side but not too tight that it restricts the dog’s ribs to allow them to breathe fully. The straps should also clear your dog’s front legs to avoid any rubbing under the armpits and to enable your dog to move freely and comfortably. To remove the harness, you simply unclip the side straps and pull the harness back over your dog’s head. And that’s how you fit a Zero DC canicross harness. Written by Gail Walker . Gail is co-founder of Dogfit.